Are you a retailer who is already investing in modern marketing techniques like social media, store events, loyalty programs, bounce back dollars etc. but just can’t seem to make your numbers work out? You are selling more but still can’t pay your bills and don’t know what to do to change that picture. You love your business but paying your bills is a major source of stress. You’re selling more and more each year but very little is coming back to you. Your accountant tells you the store is profitable yet you have no cash in the bank. Your credit card bills and loans are mounting. What if I told you I could give you the exact plan you need to pay your bills each month, put more cash in your pocket, start reducing your debt and take away your financial stress!! Your Retail Roadmap to Financial Success!! This is THE SERVICE that will allow you to avoid making more costly mistakes, put more cash in your pockets and sleep better at night. This service will match the science with your art (we tell you how much to buy, you pick good stuff). You are a retail store doing 250k + in sales and have been in businesses at least 2 years. In addition, you have a robust point of sale system. Preferred systems: Springboard, Lightspeed, Microsoft RMS, Retail Pro, Counterpoint, Retail Edge, ACE, Runit, Quickbooks, and several others. You have figured out how to get people in the door but you are having trouble paying your bills and are often times not paying yourselves. This service will solve that problem by assuring that you have the right amount of inventory at the right price, at the right time, in the right place (product classification ) in your store to increase sales, decrease markdowns and put more money in your pocket. Jennifer is a savvy, sassy business woman. And not just on paper! She has lived and breathed what you are experiencing on a personal level in her own retail business. She has shared in many financial challenges thru the eyes of hundreds of diverse small businesses in her accounting practice and showed them the path to resolution of those challenges. And now she has chosen to share that knowledge with the entrepreneurs who are willing to commit to tightening their belts, following a plan, and opening their eyes and hearts to the possibility of what financial freedom could look like in their businesses. An analysis to determine the true amount of goods you have to sell in order to pay your bills each month. Revised and updated as needed. An analysis to determine how much future cash your business should provide for you. Revised and updated as needed. A 2 year future cash flow analysis showing you exactly where you will have a cash surplus and or deficit in order to plan your cash and pay your bills with ease. Updated monthly. A detailed monthly one on one review of how your numbers stacked up to the provided plan. A weekly sales progress report via email. Unlimited access for questions via email. Provide an analysis of your business based on your current financial history which will show you what your true cash break-even point and profit (if any) are now. Provide a snap shot of the profit potential of the business if you follow the roadmap we lay out for you. Identify the problems and opportunities that exist in your business and spend time solving them. Provide a 12 month cash flow analysis to anticipate and plan for cash needs and surplus’s. Provide you with a proprietary system of sales forecasting, markdown forecasting and open-to-buy forecasting by classification and by month which becomes your roadmap. Based on each month’s performance, and how your customer votes with their dollars, this roadmap is continuously updated. Meet monthly via screen share to review the roadmap and adjust based on the needs of the business and events taking place in each month. We will use this roadmap to show you how to grow profitable sales. Interim calls will be made if and when necessary. Outline specific sales, inventory, buying and operating goals to help establish meaningful company/store objectives and monitor their progress. Provide insight and consultation on various management issues, inventory, and other business methodology that may be helpful to affect profitable growth possibilities. Go to market with a well laid out buying plan specific to your business. You will know what to buy and when it should land in your store in order to maximize your sales and cash flow while minimizing markdowns. The planning and analysis templates provided will allow you to make business decisions with ease. Making changes in expenses can positively or negatively impact your profit. These templates allow you to see the impact of those changes giving you the confidence and clarity needed to make those decisions. Jennifer’s years of experience as a CPA coupled with owning her own practice and retail store make her uniquely qualified to truly understand the financial challenges facing business owners today. She has highly trained analytical skills and instincts and uses them to guide you to financial success in your business. Thanks to Jennifer, my shop is operating better than ever. I understand how to manage my inventory better, which has improved my sales and my cash flow. Jennifer helps me think through the constant challenges of running a small retail business, and is always supportive. ​I would highly recommend working with Jennifer and with Management One. I hired Jennifer Rust as a retail consultant for my baby store to help improve cash flow and inventory control. Jennifer’s retail model improved my business more in the first 6 months of our agreement than any other business consultant I had used. Jennifer not only understands the retail climate, she also has a strong understanding of the numbers and how they relate to everything in the business. She has a tremendous insight into social media, advertising, customer service and employee training and how all these components relate to the bottom line of the business. Jennifer successfully positioned my business for an exit strategy that left me debt free and able to sell the business. I highly recommend Jennifer if you are looking for someone that will put in the work to make your business work! Jennifer began working with my organization in 2014. She has assisted us with bringing our stores into the digital age by helping us to upgrade our website, gift registry and rewards program. She manages all social media, TV, & Radio marketing as well as the media buying and assists in the media production. 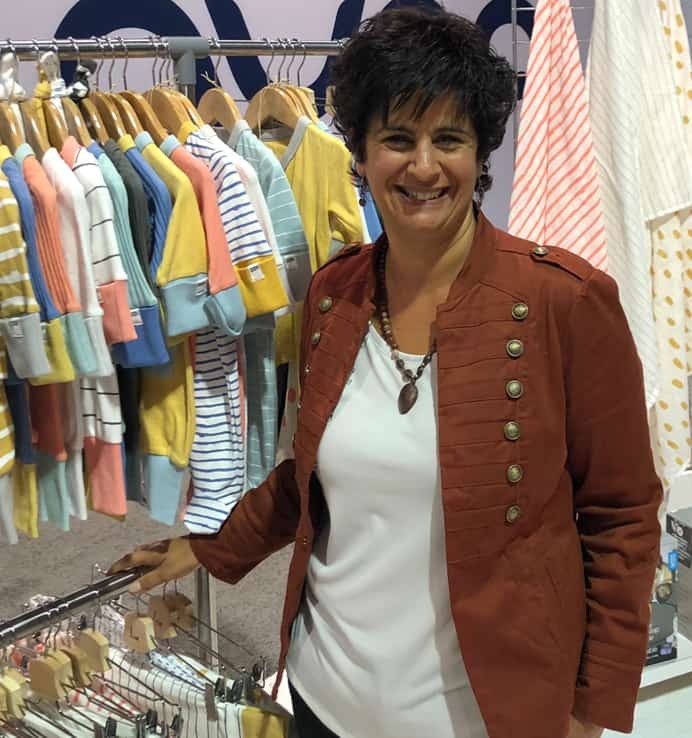 She has been an integral part of my buying team in our baby stores traveling to trade shows with us and has introduced us to many new and successful products for our stores. Jennifer has an incredible understanding of retail and business in general. She is intuitive, dedicated and always has the best interest of my business in mind when making recommendations. My 9 stores have been in business for 47 years and having Jennifer on our team has been an integral component in allowing us to compete in this age of unprecedented competition. She is dedicated and a hard worker and I am grateful every day to have her working on my team. With a background in sales and marketing, generating sales for my store came easy for me. However no matter how much we sold, I never had the cash flow needed to effectively run my business which left me tired, frustrated and operating in a state of struggling to pay invoices and pay for fresh goods. Working with Jennifer gave me the ability to understand how to better manage my inventory and business finances. Through our work together, I was able to reduce my expenses and excess inventory, create cash flow to purchase fresh goods and generate profitability in my business that allowed me to position my store for sale. Because of my work with Jennifer, I learned valuable lessons about business finance, inventory management and was able to successfully sell and transition my store to a new owner. I came to Jennifer when I wasn’t sure if I wanted to keep my store open or shift into something new. Not only did she help me get a firm handle on the numbers of my business,. she ultimately helped me create a successful liquidation using her cashflow and inventory planning that while maintaining an unheard of margin for liquidation. If i decide to open another store I would hire her in a heartbeat. Having someone in my corner to guide the analytical side of retail and who also understands the emotional side of starting , running and selling a business is vital. You will see immediate clarity in your financial situation and see a clear path to solving your unique problem which might include underbuying, overbuying, paying your bills, paying yourself or paying off mounting debt. 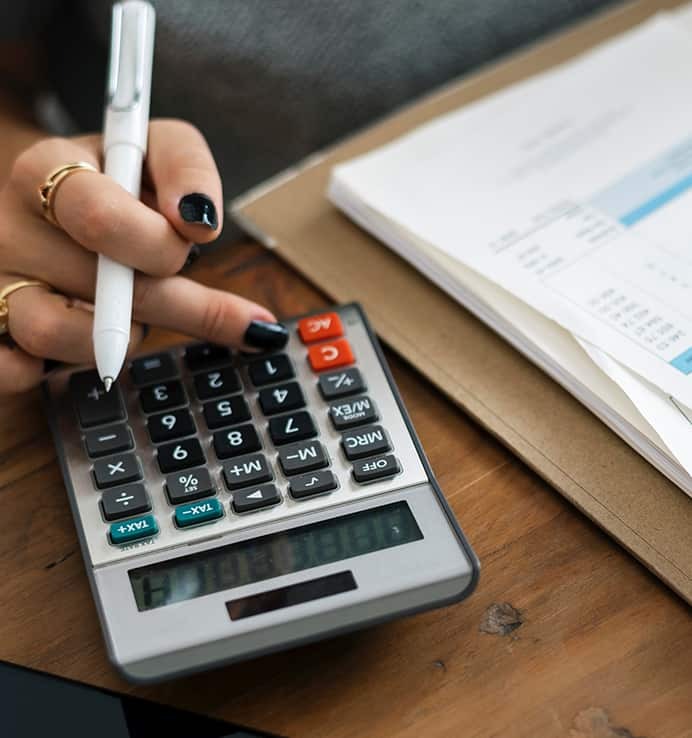 As we continue on in the process and if the plan is followed you will see an ease in your financial stress, be able to pay your bills as they come along and start to reach other financial benchmarks as set for you in the initial analysis and monthly plan meetings. You can expect to do more sales at a higher margin with less inventory putting much more cash in your pocket.